Four new studies reported at the Alzheimer’s Association International Conference (AAIC) 2018 in?Chicago?investigated how the digestive system, including gut and liver functions, may be related to changes in the brain, and to brain disorders such as Alzheimer’s disease and other dementias. The gut microbiome is the community of microorganisms that live in the digestive tracts of humans and other animals ? about a thousand different species of bacteria, comprising trillions of cells. Emerging science has correlated certain changes in the gut bacteria with a variety of inflammatory and autoimmune conditions. And studies have shown that changes in diet can change the gut bacteria. In research reports over the last few years, we’ve learned a great deal about how diet, particularly overall eating patterns, may be linked to brain health, cognitive decline and possibly even dementia as we age. We’ve also seen inflammation and its markers ? in the brain and other parts of the body ? associated with Alzheimer’s and other dementias. Exactly how diet and gut microbes interact with the brain, and influence the brain’s health ? as a cause, trigger or risk/protective factor ? is a relatively new area of investigation for Alzheimer’s and other dementias. For example, recently, scientists have reported that some species in the microbiome can promote protein buildup in the brain. This may be significant because accumulation of amyloid and tau proteins are hallmarks of Alzheimer’s disease. And recent reports from experiments in mouse models engineered to have Alzheimer’s-like changes and symptoms suggest that changing the bacterial profile in their digestive tract ? by changing their diet ? may reduce amyloid plaques, lower inflammation and improve memory. At the same time, an increasing body of evidence suggests that altered metabolism of certain lipids may be an important factor in the development of Alzheimer’s. Several of the genes associated with Alzheimer’s ? including the strongest Alzheimer’s risk gene, APOE-e4 ? are involved in lipid transport or metabolism. In addition, lipids make up most of the brain’s mass, so changes in the production or transport of lipids may have a significant effect on brain structure and function. Key functions of lipids include storing energy and acting as structural components of cell membranes. Researchers of the Alzheimer’s Disease Metabolics Consortium (ADMC), led by Rima Kaddurah-Daouk, PhD, Professor of Psychiatry at?Duke University?who leads the ADMC, and in this study by?Mitchel A. Kling, MD, Associate Professor of Psychiatry in the Perelman School of Medicine at the?University of Pennsylvania, found that reduced levels of plasmalogens, a class of lipids that are integral to cell membranes, were associated with an increased risk of Alzheimer’s. Data also suggested statistically-significant differences in plasmalogen metabolism between Alzheimer’s and comparison groups, and that some of the plasmalogen levels were correlated with cerebrospinal fluid (CSF) levels of total tau protein. 112 subjects including 43 with Alzheimer’s, 18 with MCI, and 51 CN enrolled at the Penn Memory Center at the Perelman School of Medicine,?University of Pennsylvania. Higher serum concentrations of three ratios of bacterially-produced conjugated secondary bile acids to primary bile acids (TDCA:CA, GDCA:CA, and GLCA:CDCA) were associated with lower CSF A?1-42 values, decreased hippocampal volume and decreased brain glucose metabolism. Recent studies suggest that bile acids involved in cholesterol metabolism and clearance are somehow associated with Alzheimer’s disease. At the same time, large genome-wide association studies have discovered more than 25 genetic variants associated with Alzheimer’s, including several that are involved in lipid metabolism. ?Shahzad Ahmad, MSc, a PhD student at Erasmus Medical Center,?Rotterdam, and colleagues evaluated if Alzheimer’s genetic variants can influence the level of cholesterol, bile acids and other biochemical compounds in blood. The researchers used 5,974 samples for analysis of subtypes of cholesterol (known as sub-fractions) ? 4,647 from the Rotterdam Study (RS) and 1,327 from the Erasmus Rucphen family study (ERF). For bile acid analysis, the dataset consisted of a separate group of 488 participants from RS. The researchers found that genetic variations in Alzheimer’s risk genes APOE-e4 and SORL1 were significantly associated with decreased levels of some of the cholesterol components that may be important for the health and repair of brain cell membranes (p<1×10-5). Alzheimer’s-associated genetic variants in ABI3, TREM2, MS4A6A and ABCA7 were associated with bile acids (deoxycholate, glycodeoxycholate sulfate, and the deoxycholate to cholate ratio) and certain lipids (p<1×10-3). In addition, the team found that bile acids cluster with caffeine levels in the blood, suggesting a possibility for lifestyle interventions. Lipids are a major component of brain membranes. It is believed that they can influence the accumulation of toxic peptides ? amyloid and tau ? that are related to Alzheimer’s disease. Blood flow supplies lipids to the brain, and a majority of circulating lipids are synthesized in the liver and gut, which supports the idea that our body’s organs can influence brain functions. 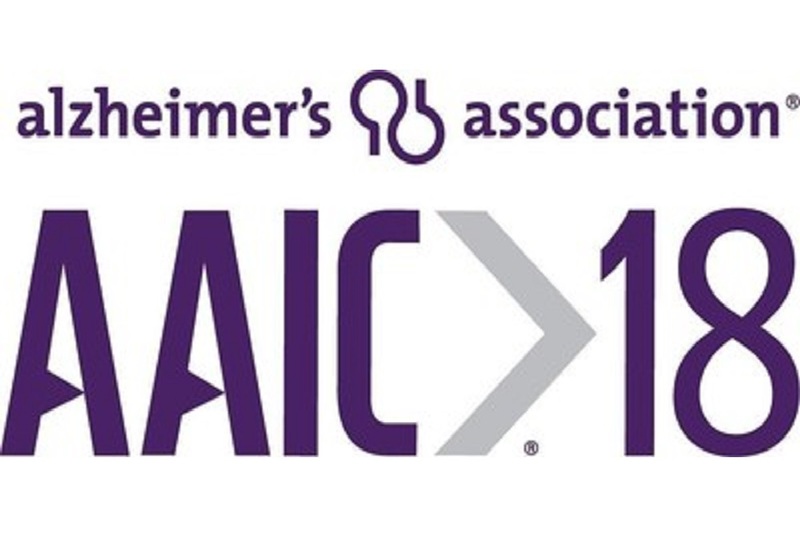 AAIC 2018 home page: alz.org/aaic?